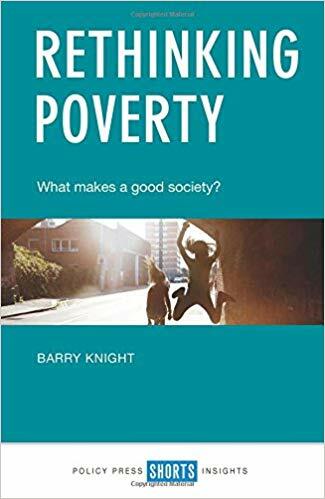 Rethinking Poverty by Barry Knight is an explorative study on the current deficiencies of modern western society and the restructuring that needs to take place for the ultimate goal of poverty reduction and indeed, poverty elimination. This may come across as overly ambitious and idealistic to some readers, but the aim of poverty elimination serves as a vision for developing the ‘good society’. The author himself admits that “…we cannot lay down hard-and-fast rules to prescribe what a good society would look like or how we can achieve it” (page 3). The book rather frames its approach around three main questions: 1. What is a good society without poverty? 2. How do we obtain it? 3. Who does what in order to achieve it? (page 2). I’ll come back to these questions in a moment but first let’s take a quick look at the author himself. Barry Knight is a social scientist and statistician who as authored over 14 books on civil society, development, democracy and poverty. He is also the Director of the Webb Memorial Trust, a foundation promotes and pursues the intellectual legacy of Beatrice Webb. 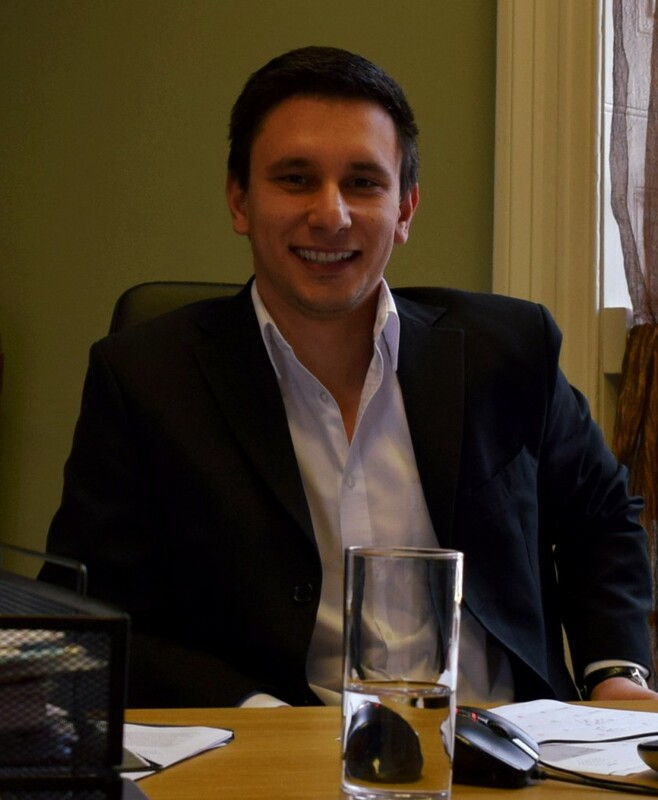 Knight previously advised the Ford Foundation and currently also works with the Global Fund for Community Foundation. The first chapter looks at the general narrative surrounding poverty in the UK and why it has failed. The chapter gives a historical overview of poverty (particularly in the west) and our lack of understanding of poverty itself. Indeed, the author argues that poverty is a relative term: what do we mean by ‘poverty’? Barry Knight defines poverty in ‘absolute’ and ‘relative’ terms (page 7). Absolute poverty is a “lack of sufficient resources with which to meet basic needs’”, relative poverty is a “low income or resources in relation to the average” (page 8). Quite interestingly, the author acknowledges that while relative poverty has dropped following the financial crises of 2008, the reduction was due to a fall in median income rather than a real fall in poverty levels (page 23). Chapter 2 turns the attention to current society. Touching upon everything from the EU referendum, social media, the economy and civil society in general. The central argument here is that regrettably, current society has drifted to a form of ‘Washington Consensus’ whereby the market becomes the central “arbiter of all things, government responsibility for social provision is reduced, and civil society takes on – or attempts to take on – that responsibility” (page 48). The third chapter builds upon the second – if this ‘market-central’ society has failed and led to reduced social mobility and high levels of inequality, is there a credible alternative to be found? The response is based on five core principles for a ‘good society’: 1. We all have a decent basic standard of living. 2. We are secure and free to choose how to lead our lives. 3. We seek to develop our potential and flourish. 3. We treat all with care and respect. 5. We aim to build a fair and sustainable future for the next generations. Chapter 4 explores ways to achieve a ‘good society without poverty’ (page 89). The author acknowledges that while global economic growth has lifted over a billion people out of poverty, the growth model fails to work in the UK. More specifically, the ‘trickle-down’ model of economics has failed (page 99). Wages have remained stagnant and poverty among those in work has experienced rapid growth. The solution? There must be a new paradigm built upon compromise. Chapter 5 looks upon building this new consensus for a good society and what shape it may take. Barry Knight argues that the five principles mentioned in chapter 3 must ultimately “emerge out of a mass of civil society” (page 119) and the two vital ingredients for this are creativity and leadership. There is also a discussion on the need of the private sector to change its attitude toward the issue of poverty and start seeing it as an important part of their long-term business success. The final chapter looks at transformation. A central component of this process is a framework for local development that encompasses, among others, citizens, business, work, anchor institutions, and a sense of ‘place’ (page 152). The role of national government is also of high importance. It acts as the “principal agent responsible for policy on poverty” and should have the “overarching plan” about the kind of society we want. Rethinking Poverty by Barry Knight is a useful contribution to the discussion on poverty in the UK. There is no doubt that the book underestimates the transformative power of free enterprise and overestimates the benefits of central government – especially in the structuring of this new society that seeks to eradicate poverty. However, its ideologically leftist approach to poverty is set out in a manner that, unlike other authors, refrains from being overtly propagandistic. In concluding, the book is a worthwhile read but I have an uncanny feeling that there will be many who take issue with some of the means proposed in achieving this otherwise, noble goal. “Rethinking Poverty” by Barry Knight was first published in 2017 by the Policy Press, University of Bristol (ISBN-10 1447340612), 184 pp.